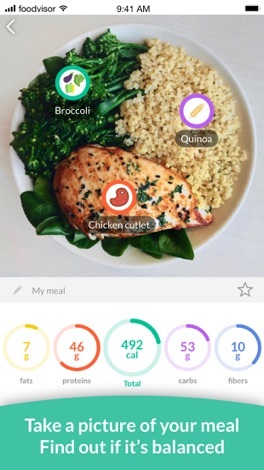 Foodvisor is a nutrition coach that will help you eat healthier and reach your goals. Just snap a picture of your plate and you will receive its nutritional facts! - Stronger together : You can now refer your friends and family to use Foodvisor directly from the app. - Reaching your goals is all about creating habits : set personalised reminders to log your meals, your weight, and get daily advice ! - And as usual, lots of small improvements to make your favorite pocket nutritionist easier to use. 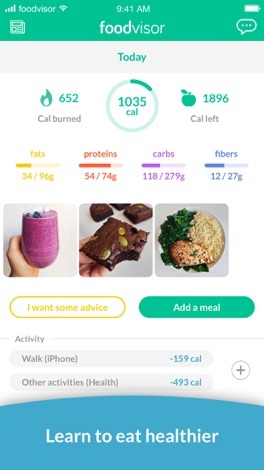 Foodvisor is a nutrition coach that will help you eat healthier and reach your goal. Just snap a picture of your meal and you will receive its nutrition facts! Regain control over your diet and learn to make better food choices. Whether you’re looking to get healthier, lose weight, tone your body, or take on a new diet; Foodvisor will help you develop healthier habits allowing you to achieve your goal! • Take photo of your meal and receive its nutrition facts (i.e. calories, proteins, carbs, fats, fibers, cholesterol, etc). • Scan barcodes to track and log your food easily. 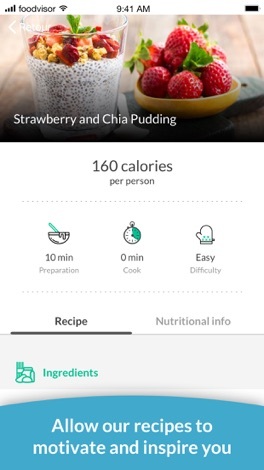 • Create custom meals and save your favorite meals. • Set a goal: You can choose to lose weight, gain weight, establish a healthy balance to your life and much more! 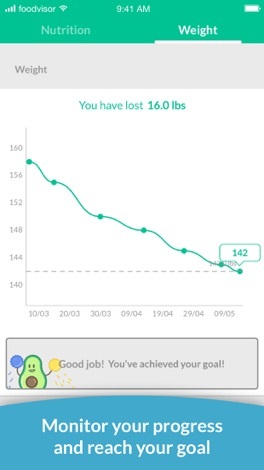 • Track your weight, monitor your progress and work to achieve your goals. • Chat with our RD nutritionists to receive goal-oriented advising and health tips. 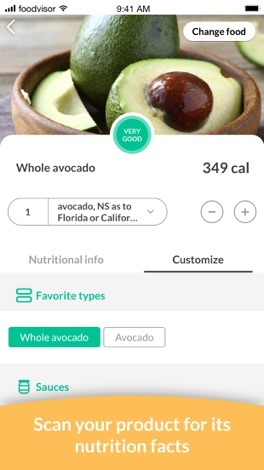 • Connect your Foodvisor account with HealthKit. 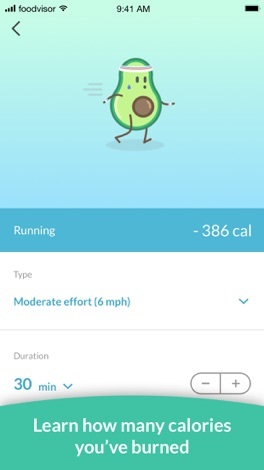 This will automatically synchronize your step-count and other physical activities directly with Foodvisor so that you can track the calories as they come in and as you burn them! • Log your activities in our database of 150+ exercises and physical activities. Download Foodvisor and start living a healthier and happier life today! Subscription automatically renews unless auto-renew is turned off at least 24-hours before the end of the current period. Your account will be charged for renewal within 24-hours prior to the end of the current period, at the same price you paid the first time. Subscriptions can be managed and auto-renewal can be turned off by going to your Account Settings after purchase. Translate from present day English to Shakespeare English. Shakespeare's complex sentence structures and use of now obsolete words makes the translated sentences really funny and as some claims more academic. Thou sir prithee enjoy translating!